I’ve had more than a few people ask me how I was able to achieve such a high level of production value with my last few short films, “Ri-sip-ruh-keyt”, “Worked For Me” and “The Fall and Rise of Mickey”. I thought I’d share with you my overall approach for achieving big budget results with little to no money. The only other piece of gear worth mentioning is the microdolly which we rent for about $50/day. That’s it. We also shot with a crew of two, myself and my cinematographer, Alex Dacev, plus cast and an occasional helper. This is supremely important, much more so than a storyboard. I sit down, close my eyes, and envision the scene playing out. I then list every time I think there needs to be a shot/cut and I write that down. What I end up with is a shot list that serves as a decent edit list, meaning, I’ve written the shots down in the order that I see them cut in. I’m always surprised to find out how many superfluous shots I can drop simply because I sat down and took the time to actually think it through. It’s an extremely efficient way to work: I’ve cut the scene in my head long before I’ve even stepped on set. This allows me a maximum amount of time to shoot only the shots I need. Set is not the time to “figure things out”. You should already have a solid plan before you get there. Use your set time to execute that plan. When I get to each location, I walk my cinematographer, Alex Dacev; through each shot in chronological order (to eliminate any confusion) then he decides what order he wants to shoot them in. This way, everyone’s on the same page as to what we’re going to shoot and how we are going to shoot it. 2. Keep your crew small, I mean really small, I mean really, really small! 90% of the time there were only 2 crew members on set; my cinematographer, Alex Dacev and myself. Occasionally we beg, borrow or steal friends / colleagues for a few hours here and there to help out or supply their expertise in other areas, but the majority of the time it’s just 2 crew members. While I work with the actors, Alex sets up the lights, camera and dolly. We do a rehearsal, and then shoot accordingly. I watch the monitor for performance while Alex pushes the dolly while operating / pulling focus. We watch each take immediately after to double check focus. We discuss the take and either go again or move on to the next shot. Three lights are all you need. No, seriously. It’s not how many you have or what wattage they are, it just matters where you put them (and where you don’t). If you’re really smart and you bring along a small flexfill or 2′x3′ white bounce card you can basically “buy” yourself another light by stealing the return of your key or backlight. Once we’re finished shooting out a location, I help Alex pack up the lights and any other remaining equipment, the majority of which fits into a large rolling suitcase. Lights, stands, extension cords, etc. Quick, easy, mobile. 4. Forget reality, this is the movies. Just cheat it! I’m amazed how few filmmakers actually “think” in cinematic terms and instead are stuck in the confines of reality. Just because you shoot in one particular direction doesn’t mean you have to shoot the reverse angle where the actual reverse angle would be in reality. This is filmmaking. 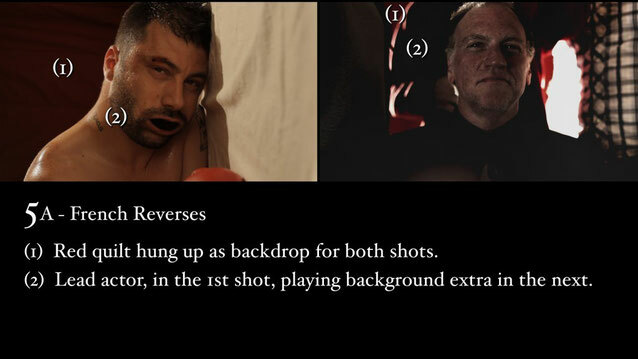 You can make the location of your reverse angle anywhere you want as long as you direct your actors’ eyelines accordingly and the key light is coming from the same general direction. 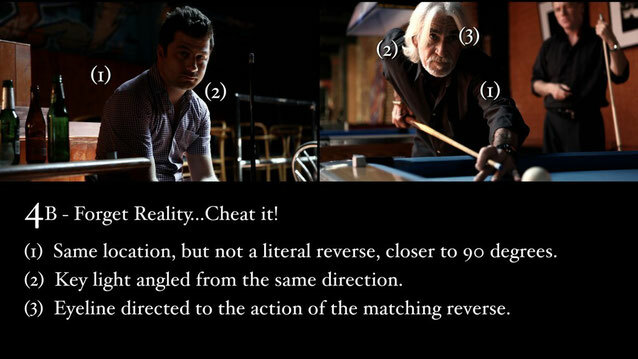 It blows me away how few filmmakers can wrap their head around this concept. The audience has no clue about the why / how / where / when or what the circumstances were around your filmmaking process so don’t obsess over it. What’s outside of your frame doesn’t matter. Just concentrate on filling your frame as artistically as possible and forget about everything else. 5. A background so nice we shot it twice: French Reverses. 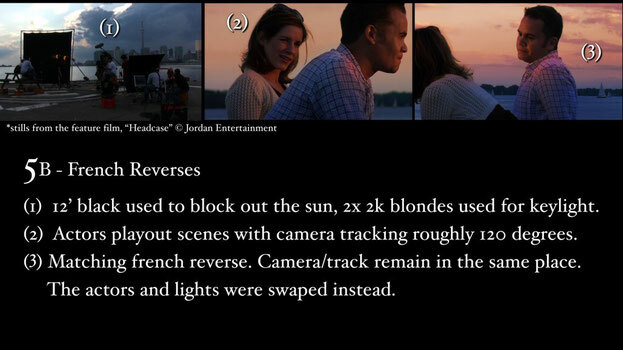 In my experience working on film sets, French reverses are often suggested by the cinematographer or Assistant Director to an (often skeptical) director late in the day when the production is behind schedule and they want to save time by keeping the camera (and most of the lights) in the same position, swapping out the actors instead. But: French Reverses can be more than just a last ditch attempt at saving a reverse set up. They can be incorporated as part of a director’s toolset, and can result in creative ways to expand the usefulness of the locations in your film. Again, think cinema, not reality. We rented it for less than $50 a day. The vast majority of our camera moves are 5 feet or less. Now to get this level of production value from 5 feet of track at a cost of $50 a day can you really afford NOT to move the camera? A lot of filmmakers shy away from depicting weather or different seasons in their films and instead opt to have their film take place conveniently in the same season they just happen to be shooting in. Same goes for time of day. I’ve heard many a filmmaker proclaim their recipe for success for an upcoming shoot is having their film take place entirely in “all day exteriors”. I guess that’s great if you want to snag a prize for “most convenient conditions for making a film”, but the conditions under which the film is made and the resulting film itself are two separate things. I actively seek out ways to incorporate inclement weather and various times of day within my scripts to enhance the scope and production value in my films. For example, this scene from “The Fall and Rise of Mickey” could have easily taken place anywhere at any time of day but I decided to stage it in a car at night in the rain because (a) it’s darker in mood and more interesting visually and (b) it’s very easy to park a car in your driveway and spray a garden hose on it. Very little effort, huge production value. Same goes for this scene here in “Worked For Me” where our main character bedridden over a break up stares at the ceiling watching the lights of passing cars flood through his bedroom. In this particular case we didn’t even have a Production Assistant to hold the hose, so we tied it to one of our free lighting stands, while I (the director) operated the light that was imitating the car headlights. A garden hose (and or) a hudson sprayer combined with a few blurred foreground particles can be a great substitute for a rain tower. Or with the right framing, appropriate wardrobe, a little colour timing and some simple composited breath, you suddenly have yourself a winter scene. Try to make it a point to vary the time of day, time of year and weather conditions in your films to give them more complexity, contrast and impact. Easy is certainly easy, but rarely interesting. Anyone can just grab a camera and shoot all day exteriors so why not try to make a point of switching it up? You’re the one who gets to decide. Contrast isn’t just about lighting ratios; it goes for everything in your film. A filmmaker who understands the core concepts of visual effects is much better served than one who doesn’t. 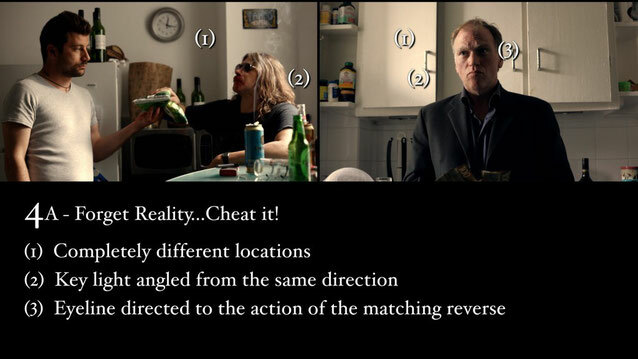 Tracking, roto, keying, machmoving, these terms needn’t be frightening to the indie filmmaker. In fact, the more you understand them the better prepared you will be when mother nature rears her ugly head or a corporate logo finds it’s way into your shot or your lead actress doesn’t re-dye her hair and you don’t find out until she shows up on set ready to shoot today’s continuity sensitive scene (that one happened to me). There are hundreds of free tutorials out there that walk you step by step through the process of tracking, keying and compositing footage. Take time out to familiarize yourself with the basics of VFX and you’ll soon find the confidence to take on a problem shot or two of your own. Who knows, you might even start to incorporate visual effects into your filmmaking process as a time saving, budget reducing alternative to traditional production practices. 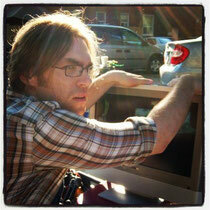 I completed over 130 visual effects shots for my debut feature film “Headcase” while learning along the way. The more you know, the more empowered you’ll be. Acquiring and posting a film with great (or let’s face it) even decent sound can be a difficult task even with an experienced boom op/mixer on set with you. For my last three shorts I haven’t had the luxury of having a dedicated sound person but I can walk you through my no budget workflow and maybe it will present a few options for you as well. When shooting any particular scene, I place my H4N Zoom recorder as close as I possibly can to my actors without it being visible in the frame. When we shoot an actor’s close up I point the Zoom towards the actor we’re filming and simply spin it around for when we do the other actor’s reverse, that way at least for the close ups I have their lines recorded relatively clean. Before we move on from a location I usually have the actors do the whole scene one more time, running audio only “wild line” style . When editing, I synch up the externally recorded audio to my cameras guide track. I then record virtually all of the foley myself, usually with the help of my girlfriend or anyone else I can steal for a few hours. When the cut is locked, I bring all of the actors back to do ADR, more often than not this means that I cue their scenes up on my laptop, play it for them a few times and then get them to mimic their performance as best as possible into my H4N Zoom. After that it’s sound FX libraries and music mixed accordingly. 10. It’s not your budget, it’s not your camera, it’s not your kit…it’s you! I know it sounds like a useless platitude but it’s absolutely true: you (the director/producer/overseer) are the one who CHOOSES high production value. The more time you spend embracing what you have versus pining for what you don’t, the more productive you’ll be. It’s easy to talk yourself out of making a movie because you don’t have x, y or z. Don’t let any camera, location or any piece of equipment give you an excuse to not go out and shoot. The point is to make movies, not to talk about making them. I think it’s important to remember that no movie ever had enough time or money, filmmaking is a struggle no matter how big the budget, and chances are, if your production went really smoothly it probably means you didn’t challenge yourself nearly enough. Every project is practice for the next. Aim high, push yourself and see each project through to the end. 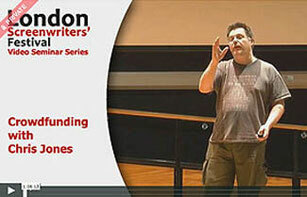 Ken Simpson is a director, editor, compositor based in Toronto, Canada. According to smartmovimaking.com he just might be the first person ever to shoot a short film on the iphone. His dslr short, “Worked For Me” was picked by Blake Whitman as a Vimeo “video of the day” and his ambitious debut feature film “Headcase” which he directed, edited and supplied over 130 visual effects for, will hit the festival circuit in late 2012.